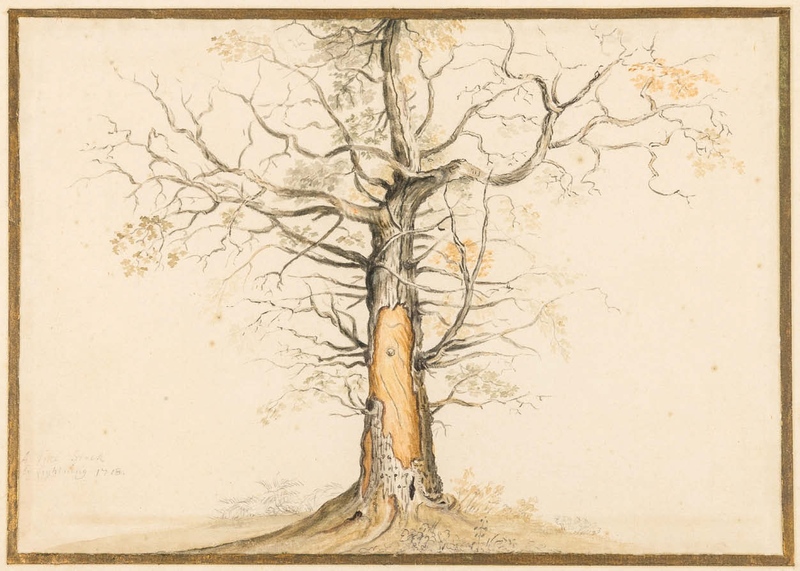 An intriguing 18th century watercolour of a tree struck by lightning fetched a multi-estimate sum at Forum Auctions’ (25/20/12% buyer’s premium) March 30 sale in London. A watercolour by William Byron (1669-1736) of a tree struck by lightning sold for £8000 at Forum Auctions. The 8 x 10½in (20 x 27cm) work was skilfully painted in 1718 by the amateur artist William Byron (1669-1736), the 4th Baron Byron. Little is known about Byron and few works have appeared at auction, though both the Paul Mellon Collection at the Yale Center for British Art and British Museum hold examples of the artist’s work. “He is an interesting example of the British tradition of amateur artists in the 18th century,” said Richard Carroll, Forum Auctions’ works on paper specialist. The watercolour also boasted provenance to the Witt family, known in the art world through the collector Robert Witt, who part-founded the Courtauld Institute of Art in 1932. The watercolour had been purchased in the 1970s and given to Witt’s son, John Clement Witt. Estimated at £300-500, it was hammered down at £8000 to the trade, one of several bidders on the lot. “The scarcity of the known works by Byron, its appealing provenance, the condition, the quality and the subject was what drove the price,” said Carroll.